Iran's Intelligence Minister Admits Hacking Into Opposition E-Mail ! 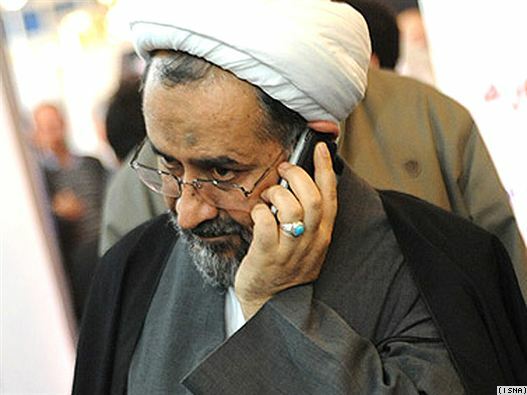 Iran’s Intelligence Minister Heydar Moslehi has publicly admitted hacking into the e-mail of opposition members. Moslehi was quoted by Iranian news agencies, including ILNA, as saying that e-mails were the most important tool of communication between opposition members during last year’s postelection protests and that the Intelligence Ministry could break into them and defeat “ the enemy." Moslehi is quoted as saying that e-mails were being exchanged between “foreigners and their elements inside Iran." Moslehi, who was speaking at a December 25 conference on the achievements of Iranian expatriates at Tehran’s Shahid Beheshti University, said that Iran managed to control “many dimensions” of the postelection protests by monitoring e-mail. He was also quoted as accusing the United States of launching online networks against the Islamic republic. “In the events of [last year’s] sedition, [U.S. President Barack Obama] said that they have designed extensive virtual networks to fight the Iranian regime, but because of the strength of our intelligence services they didn’t have the power to face us,” he said. During last year’s postelection unrest, Tehran’s police chief, Esmail Ahmadi Moghadam, warned that those who encourage others to participate in “riots through e-mails and SMS" will be dealt with. In the postelection trials, it was reported that several political activists were charged over e-mails and text messages they had sent. In the months that followed, I received an e-mail from a student activist who had been released from jail after paying a large bail. In the e-mail, the student expressed regret about his past stances and said that he was quitting the reformist student group he was a senior member of. His close friends, who also received the e-mail, told me that the e-mail had been sent by intelligence officers who had access to the e-mail of the student. The student had to be hospitalized due to pressure tactics he had been subjected to in prison. Some students and activists have said that their interrogators asked them for their e-mail passwords following their release from jail. Therefore, Moslehi’s comments about monitoring the e-mail of opposition activists don’t come as a surprise. At the same time, as one Tehran-based activist told "Persian Letters," Moslehi's comments could also be aimed at creating fear among opposition members who rely heavily on the Internet, e-mails, and social networking sites, including Facebook, to connect with each other, to spread news about arrests and the plight of jailed activists, and news related to the opposition movement. Despite tough filtering, warnings, arrests, and other measures, Iranian authorities have not managed to fully control the Internet, and opposition activists remain active there.